Which No. 8's name would you tattoo on your body? If you were to contract an unquenchable desire to ink a conversation-starting tattoo of a Test-match No. 8 on a visible part of your body - as many ESPNcricinfo readers no doubt already have done - which one would you choose? A personal favourite? A bygone legend? A one-innings-at-eight wonder? The options are, if anything, too plentiful. Maybe if you are an Australian unsatisfied with some of your unfashionably as-yet-unillustrated skin, you fondly remember Paul Reiffel's 560 runs at an average of exactly 35 in his 24 innings at No. 8, and would gladly have the seamer-turned-umpire's visage powerblasted indelibly into your flesh. Maybe Andrew Hall's quick-fire 99 not out off 87 balls against England in 2003 touched your South African heart, or wistful imaginings of 1950s skipper John Goddard averaging 42 in 19 innings at eight (the best by an eight with at least 15 innings) make you proud to be West Indian. The Indian fan has a plethora of tattoo options, from 1952 debutant centurion Deepak Shodhan, via Kapil Dev, who averaged more at eight than in any other position, to Harbhajan Singh, who in November 2010 against New Zealand - having been out in single figures in eight of his previous nine Test innings - became the only man to score two hundreds in a series at eight. 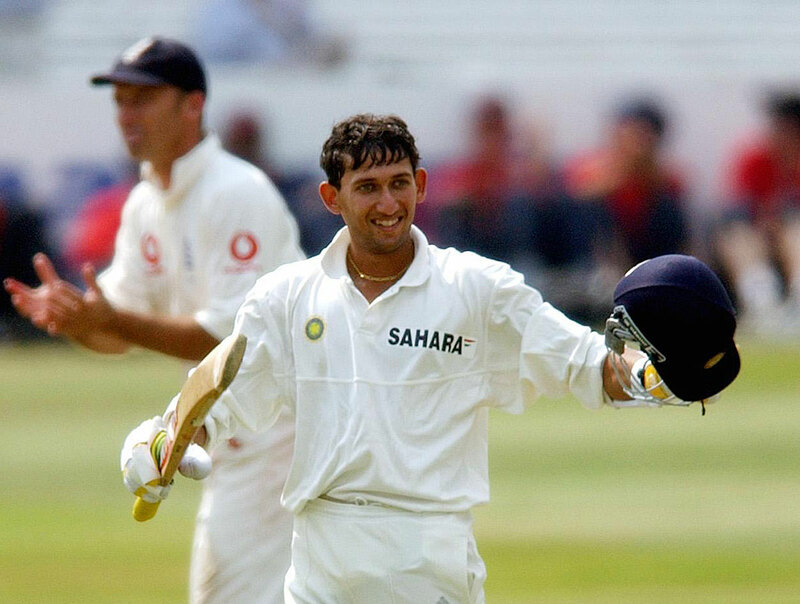 Alternatively, Ajit Agarkar might take your inky fancy. Not because he was a good eight, but because he was a bad eight. Who was, very briefly, an incredible eight. An eight who, when he walked out to bat at Lord's in 2002 with India facing certain defeat, had scored 29 runs at a subterranean average of 2.63 in the position, including a mind-bending sequence in which he was out five times in six balls during the 1999-2000 series in Australia. Having strode to the crease as comfortably the least effective eight in Test history, Agarkar then hit 109 not out, becoming just the third eight to score a Home-of-Cricket hundred, after West Indies' Bernard Julien in 1973, and England skipper Ray Illingworth in 1969. Illingworth was also the scorer of the slowest 50-plus innings by an eight, a match-turning 252-ball 57 against Australia in the 1972 Leeds Test that managed to include two sixes amid the otherwise remorseless, high-value caution, and is thus a major candidate for an England fan's eight-ink, especially as England's eights have the lowest average over Test history of any nation (18.98). English eights have managed just eight hundreds in 969 Tests (as many as India's have in their past 88 Tests, since Anil Kumble reached three figures at The Oval in 2007), and four of those have been by sevens demoted following a nightwatchman, plus one by certifiable top-order batsman Colin Cowdrey, batting low due to injury in New Zealand in 1963. The more historically minded among you might like to delve further back into the Annals of Eight and adorn yourselves with an eerily realistic full-sleeved Eric Dalton. A pre-war South African batsman and occasional legspinner, Dalton batted only four times at eight, in which he managed to become the first eight to score two Test hundreds (only New Zealand's Bruce Taylor would match that feat in the first 100 years of Test cricket). Dalton hit 117 and 57 not out at The Oval in 1935, and 102 in Johannesburg to start the 1938-39 series, also against England. His other 20 innings were all played higher in the order, but produced an average of just under 22, suggesting that he was not a batsman capable of scoring Test centuries - he was an eight capable of scoring Test centuries. An important difference. Recent times have offered plentiful options for your eight-ink. This decade (22.07) and the last (23.21) have been the best for eights in terms of average, if not quite a resumption of the glory days of the 1880s, when, evidently inspired by the sheer number of eights knocking around on the calendar, eights averaged more in Tests than either sevens or sixes. Since the turn of the millennium, there have been 38 centuries by eights, at a rate of one every 19 Tests. Prior to that, there had been one every 37 matches (including just two in 198 Tests in the 1970s). The third-millennium fruitfulness of eight has produced not only two of the most stylish regular eights in Test history, in the neo-Laxmanesque R Ashwin and the melodiously inconsistent Moeen Ali, but also the finest eight in Test history, the rather less elegant but staggeringly effective Daniel Vettori. 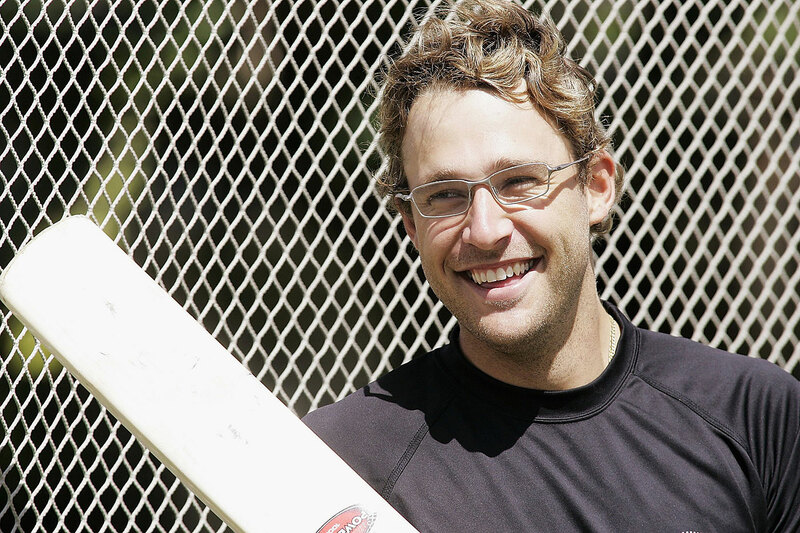 No eight has scored more than his 2227 runs, and, of the 73 players to have batted eight in 20 or more innings, Vettori's average of 39.76 leads the way (ahead of Mark Boucher and Matt Prior, both averaging 36). The Kiwi tweakster's 17 scores of 50-plus, and four hundreds, are both records. Like many other leading eights (including Boucher), Vettori did not quite translate his success to other positions. From the time that he began batting regularly there, in 2002, his average in other positions combined was 30.15. Others have graced eight but briefly. 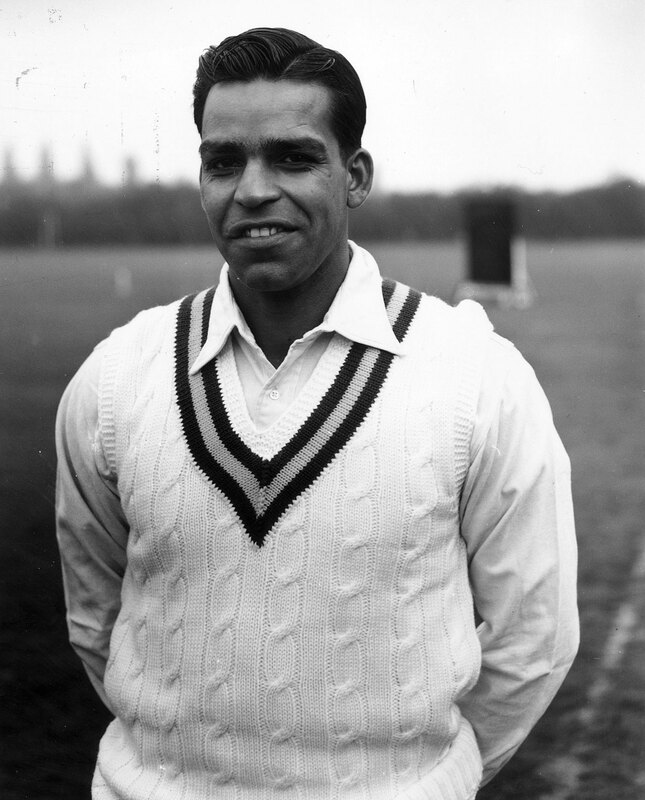 When Pakistan wicketkeeper Imtiaz Ahmed walked to the wicket in Lahore in October 1955, with his team struggling at 111 for 6 in reply to New Zealand's 348, no eight had ever scored 200 runs in a series. Imtiaz put that right in one innings, adding 308 with Waqar Hasan before eventually being dismissed at 517 for 9, having boosted his personal average from 22 to 30, and set a number of firsts - the first double-century by (a) a Pakistan player, (b) a wicketkeeper, and (c) an eight. Unsurprisingly, it proved to be Imtiaz's sole innings as a Test eight (five others have also scored a hundred in their only innings at eight), and his score has since been surpassed only by Wasim Akram's 257 not out against Zimbabwe in 1996. Akram's overall eight average was 23.73, a solid 2.70 above the 21.03 managed by non-Wasim eights. Without his Sheikhupura mega-blast, his eight average is a below-par 19.22. The first Test hundred by an eight remains arguably the best. George Bonnor, the giant 1880s Australian slugger with a beard crying out to be immortalised on someone else's skin, clattered 128 in under two hours against a high-class six-prong England attack at the SCG in March 1885, including four maximums (worth five runs in those innocent days). He bludgeoned Australia, from 119 for 6 to 309 all out, a 40-run lead that led to an eight-wicket victory after Fred Spofforth and George "Joey" Palmer skittled England for 77. Bonnor never reached double figures in Tests again - he scored 33 runs in his final ten innings for Australia - but had established the noble tradition of occasional eights causing untold mayhem before returning to their previous pastime of proving to be nowhere near as effective when batting in the top seven. Perhaps the glory days of eights are fading, however. Last year was the first since 1999 that eights collectively averaged under 20 in Tests, and there has been only one century by an eight in the 73 Tests played since JP Duminy's Galle hundred in July 2014. It remains, however, a critical position in the quest for batting depth without sacrificing bowling penetration, where runs are simultaneously necessary and something of a bonus. And eight is also perhaps the one area in which Bangladesh is leading the cricketing world. This decade, the Tigers' eights average a universe-topping 31.18 - higher than their overall team average, and more than twice what Pakistan's eights have managed. Perhaps the time has come for Imtiaz Ahmed, the eight to end all eights (albeit for one innings only), to be recalled to the Test arena. At the appropriate age of 88.